A component to display action items in a bar. It can be placed at the top or bottom. The top bar usually contains the screen title, controls such as navigation buttons, menu button etc. The bottom bar usually provides access to a drawer and up to four actions. Whether the background color is a dark color. 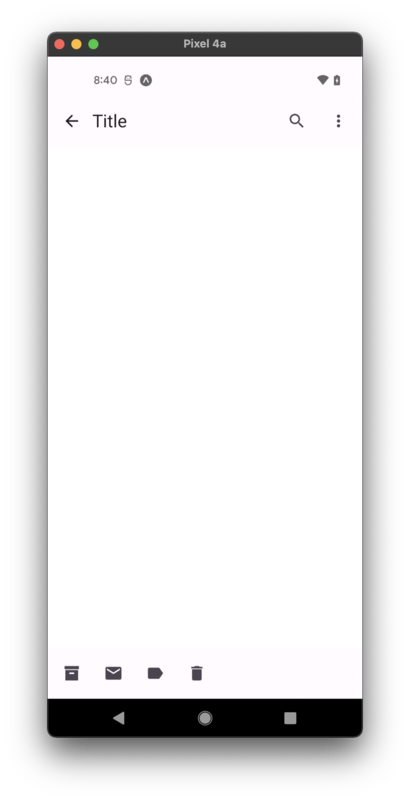 A dark appbar will render light text and vice-versa. These properties can be accessed on Appbar by using the dot notation, e.g. Appbar.Content.